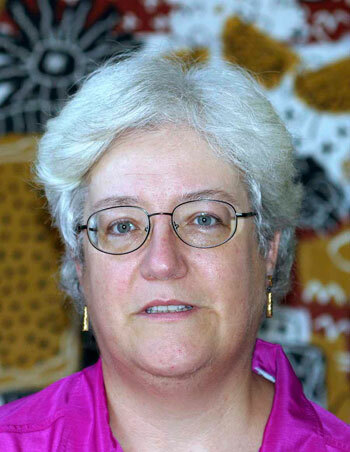 Rosemary Joyce, Richard and Rhonda Goldman Distinguished Professor of Social Sciences, professor of anthropology and, currently, associate dean in the Graduate Division. It’s the quality of the graduate students, Rosemary Joyce states flatly, explaining why she’s turned down head-spinning offers from competing universities twice in the last 10 years. The offers came in 2003 and 2009, one from a prestigious private university on the East Coast, the other from a public university in a large state. Joyce met talented students at each. “But I realized that none of these graduate students struck me as being like our graduate students. They were like advanced undergraduates,” Joyce says. “The difference is that Berkeley grad students come with a fierce drive to succeed. They will develop their own research. They question the given wisdom. They ask the questions nobody else sees – they’re never filling in the gaps. In the complex calculations that go into any career decision, one factor can tip the balance. But it’s never the only factor, of course. Also important to Joyce was Berkeley’s interdisciplinary bent. Where the universities making the offers had her pegged as an archaeologist studying the material objects of prehispanic Latin America, Berkeley allowed her to conceptualize — and fulfill — a broader vision for her work, to conceive a new way of doing research, a new field or a new initiative. At Berkeley, she feels she can expand her focus as a scholar of materiality, not simply of the materials — of the way early inhabitants of Central America employed things in negotiating their place in society. Berkeley’s visiting-scholars program proved key, as well. Joyce’s husband has held unpaid visiting-scholar status since 2003, allowing him to pursue his own research on the campus. The program often comes into play in retention cases where a professor’s partner is involved, Joyce says. Salary issues had their place, too. And coincidentally, after receiving her second offer, Joyce learned that the wheels had already been set in motion for her nomination to the prestigious Goldman chair, which provides her with valuable support for her research. Berkeley proved hard-pressed to match all of the material things its competitors offered — for instance, the custom-built office and lab, engagement in programs at a new research facility in Guatemala, plus full salary and tuition for a graduate student that one university dangled in front of her. But in the end, Joyce says, it would be wrong to exaggerate the role of money issues — except to explain how they may leave Berkeley professors vulnerable to outside offers. Above all, it was the students. And the same thing came up repeatedly during the nine retention cases she handled as anthropology department chair from 2006 through 2010, when, as she says, “we were being raided and raided and raided.” Eight of the nine professors involved decided to stay, and the ninth left briefly but returned.